Last month Alabama Graphite Corporation (ALP: TSX-V or ABGPF: OTC/QB) announced receipt of a half dozen non-disclosure agreements by lithium ion battery manufacturers which are testing the company’s ‘coated spherical graphite’ materials. The battery makers are ostensibly approved suppliers for the U.S. Department of Defense, which is particularly keen on sourcing critical materials from U.S. suppliers. Alabama Graphite (AGC) owns two of the most significant commercially viable graphite sources in the continental U.S.
AGC’s Coosa and Bama graphite projects are located in the ‘heart of Dixie’ in Alabama. The state has long been a mineral resource, allowing Birmingham, Alabama to develop as an industrial center beginning in the 1800s. Flake graphite is found dispersed in the metamorphic rocks in Alabama’s east-central section. At the sector’s peak in the 1950s, there were 43 graphite mines and 30 processing plants in Alabama, including those in Coosa and Chilton Counties where AGC’s Coosa and Bama projects are located. The rise of China’s synthetic graphite producers flooded the market with low priced graphite materials, later driving U.S. graphite producers out of business. Graphite has taken on more strategic value as the country shifts to fossil fuel alternatives such as electric power stored in lithium ion batteries. Lithium ion batteries deliver three times the capacity of a lead-acid battery with only about one-third the weight and volume. 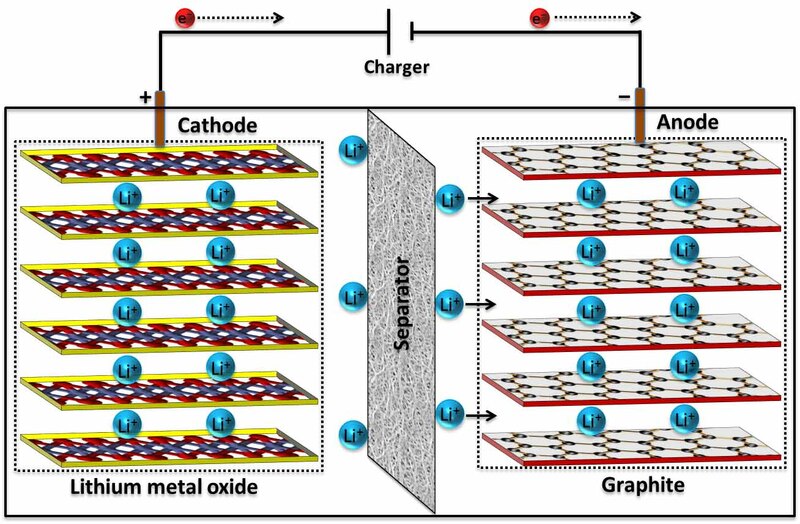 After an initial However, a single large lithium ion battery requires considerable graphite for the anode component and the U.S. military does not want to be dependent upon China suppliers for batteries or the critical materials to make them. Thus in November 2014, the U.S. Department of Defense provided funding for commercial battery producer EaglePicher Corporation to develop low-cost production and sourcing of raw materials for lithium ion batteries. Since then EaglePicher has been building out its Lithium Ion Center of Excellence in Joplin, Missouri. In January 2016, EaglePicher formed a strategic alliance with Valence Technology, which has developed a high-power cathode powder and proprietary lithium ion cell design. While AGC disclosed no names for the lithium ion battery manufacturers, it seems more likely than not that EaglePicher and/or its partner Valence Technology could be among the group. AGC is providing samples of processed graphite materials sourced from its Coosa graphite project. First, the material is put through the usual process to extract and isolate the graphite ore. These steps involve crushing and grinding the rocks and then ‘floating’ the graphite particles to the top of a water-mineral suspension. The graphite is then processed further in a ‘polishing’ step. Like others in the current graphite development market, AGC is faced with the need to take a more refined graphite product to market. AGC has extended its production process to a second set of steps to produce spherical graphite is can qualify to use in batteries. Refinement steps involve more grinding and crushing to ‘micronize’ or reduce particle size and then ‘spheroidization’ to achieve the spherical shape that works best in battery components. The particles are then ‘coated’ with a later of pure carbon. The result is a higher value product that is more likely test well in the laboratories of battery manufacturers - after all the proof really is in the pudding. Indeed, AGC has been successful in producing ultra-high purity grade spherical graphite. AGC is not waiting for surprise test results from its potential customers to prove the value of its graphite materials. In early 2016, the company commissioned independent tests of its ‘coated spherical graphite’ in lithium ion battery coin cells. The exercise found that the company’s ultra high purity spherical graphite exceeded the performance of the comparison benchmark of commercially available graphite materials. It is estimated that one kilogram of coated spherical graphite is required to produce one kilowatt hour of energy from a lithium ion battery. Notably as this article was prepared, Tesla Motors announced the availability of a new upgraded battery pack for its Model S and X all-electric cars. The new 100 kilowatt hour battery pack extends range and acceleration capacity. The announcement makes easy the math for graphite producers: one car, one battery pack, 100 kilowatt hours of energy and 100 kilograms of graphite. Encouraging test results and estimates of large market opportunity will not be enough. AGC must scale its production process to high volume and consistently bring graphite to market. To that end in February 2016, the company did a trial run with a pilot plant at its Coosa project, achieving largely positive results for the first set of steps its processing plan. Approximately 130 tons of graphitic material from the Coosa project was processed in the plant, from which 3 tons of graphite concentrate was extracted. Importantly, all of the concentrate was suitable for secondary processing into higher value spherical graphite. According to its most recently issued financial report, AGC held CDN$486,690 in cash (US$374,751) in cash in the bank at the end of May 2016. That is not a very large nest egg for a company in critical conversations with potential customers. Fortunately, someone at the company must be holding tight to the purse strings. The company is using about CDN$105,000 in cash (USD$80,860) each month to support operations. AGC is capitalized exclusively with equity, with the most recent issuance of common stock through a private placement in early May 2016. Investors can expect additional issuance of common stock from this company, most likely following news of battery customer test results. Neither the author of the Small Cap Strategist web log, Crystal Equity Research nor its affiliates have a beneficial interest in the companies mentioned herein.